Cusco is the historic capital of Peru. It was declared a World Heritage Site by UNESCO in 1983. 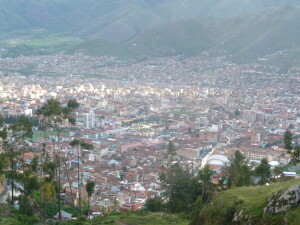 The city is sometimes spelled Cuzco or with its name in Quechua: Qosqo. It is the capital of the Cusco Region as well as the Province with the same name. In 2013, the city of Cusco had a population of 435,114. It is located at around 3.400 m (11,200 ft) in the Andes. Cusco is a very interesting city with lots of things to do and to see. And the city is the perfect starting place to explore the beautiful nature in the Andes, do adventure sports and make trips. In and outside the city, you can discover everything that has to do with to old Inca Empire. As Cusco was the capital of the Inca Empire. Nowadays Cusco is a place where you find the Peruvian people with their culture and traditions. But due to tourism, you can also find the services you are used to in the modern world. So it is not a coincidence that Mundo Antiguo Spanish school is located in this beautiful Peruvian city! 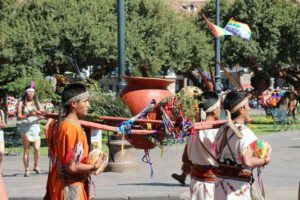 Cusco has parties all year long. You can see the traditions in parades and parties celebrated throughout the city very often. The biggest one is the Inti Raymi fiesta on the 24th of June. But you will see processions, parades and parties every week. Especially around the plaza de armas, the main square in the city center, every week (and many times several times per week) something is going on! Cusco has a very interesting nightlife and is famous for it by travelers. You can go out seven nights a week and find discos, bars with live music, happy hours and parties. It goes on all night and it is always busy. If you like to go out, Cusco is your city! If you go to a restaurant, you can choose everything from Peruvian food to international food and within all price ranges. Cusco has a very diverse offer in everything that has to do with food. A popular option is to take cooking classes. You will do a workshop first and then eat the food you made. 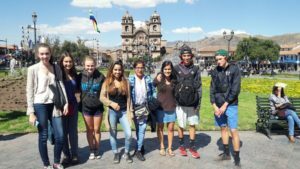 There is so much see and to do in and around Cusco. It is the gateway to Machu Picchu and to various destinations in the Amazon Rain forest. 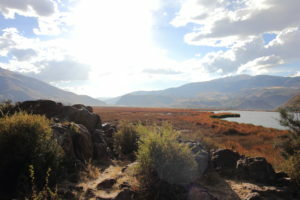 And from Cusco, you can do amazing weekend trips to Lake Titicaca and the Colca Canyon. And you can´t go without a visit to the lovely Sacred Valley of the Incas. Further away, but interesting and doable from Cusco: the enigmatic Nazca Lines, the Islas Ballestas near Paracas and the sand dunes of Huacachina. The list of things to see and do is enormous. For most attractions like Inca ruins and museums you can buy the tourist ticket (boleto turistico) of Cusco. This gives you entrance to the main attractions. The Andes is beautiful, so you can´t visit Cusco without doing at least one trek. You can do one of the most famous treks of the whole world from Cusco: the four day Inca Trail to Machu Picchu. But there are more treks and trails leading to Machu Picchu as well. And you can also walk treks in other parts of the region like the Ausangate trail. The treks to Machu Picchu are the most popular treks in the region. 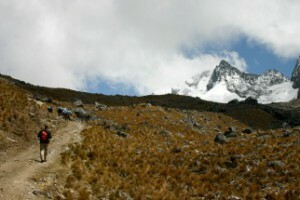 There are four treks going there: the classic Inca Trail, the Lares trek, the Inca Jungle trail and the Salkantay trek. It depends on your preferences which trek suits you best. As Cusco is a tourist destination, the offer in accommodation is great. You can find hotels in every price range, from small budget hotels to well known luxury international hotel chains. And you will find lots of hostals, from quiet ones to big party hostels. But we would advice you to stay in a guest family. In a host family you will have your own bedroom and you share the rest of the house with the guest family. This is a local family and they can tell you everything about Cusco. The family can give you a good idea of every day life in Peru and about the culture in a nice and safe environment. And you can practice your Spanish! Or enjoy your stay in the city in an apartment. You can share an apartment with other students from different parts of the world. A shared apartment is really popular as it is an economical way of staying and you will have lots of fun. Many long-lasting international friendships started here! 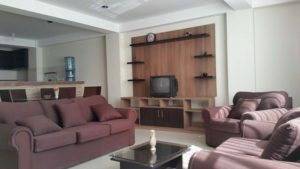 You can also stay in a private apartment, having the apartment all for yourself or for your family or group of friends. If you want to learn Spanish, Cusco is probably the best place in the world to do this. First of all, the people speak Spanish relatively slow and easy to understand. Secondly, the Spanish in Peru is similar to the Spanish in the biggest part of South and Central America. This makes it the most used Spanish in the world. So that is a big advantage to study Spanish in Cusco. The Spanish school of Mundo Antiguo is located in the city center. Mundo Antiguo offers you different Spanish courses. We offer Spanish classes for complete beginner to well advanced level. You can take classes in a small group or private classes. Peru is a developing country with an enormous differences between the rich and the poor. A big part of the population is living in poor circumstances and extreme poverty also exists widely. Unfortunately the region of Cusco is no exception to this. That is why there are many NGO´s and social projects in and around the city, trying to do something about this situation. 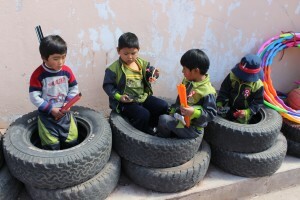 If you want to help out as a volunteer, you will be very welcome to do this in Cusco!